The Handmaid’s Tale is a critically acclaimed and award-winning television series created by Bruce Miller for Hulu. And one of our favorite shows with the staff at GoBestVPN. The series is based on the popular novel of the same name by Margaret Atwood. The Handmaid’s Tale is set sometime during the Second Civil War, where fertile women called “Handmaids” are being forced into sexual labor and child-bearing. Offred (played by Elisabeth Moss), is a Handmaid assigned to the home of Commander Fred Waterford (played by Joseph Fiennes) and his wife Serena Joy (played by Yvonne Strahovski). All she can do is just follow the orders of her master, in hopes of living with his family again. The first three episodes of the first season premiered on April 26, 2017, and the rest of the episodes were subsequently released on May 2017 every Wednesday on Hulu’s website. Upon premiere the series received critical acclaim, being the first among Hulu’s series to win an award and also the first series on a streaming service to win an Emmy. Hulu renewed the series for a third season, which is set to air on June 5, 2019. You can watch The Handmaid’s Tale on Wednesdays at 3:00 A.M. Central Time on streaming service Hulu. Hulu is not available in all regions, so some might have trouble watching The Handmaid’s Tale on its website. If it’s not available in your region, use a VPN to bypass such restriction. 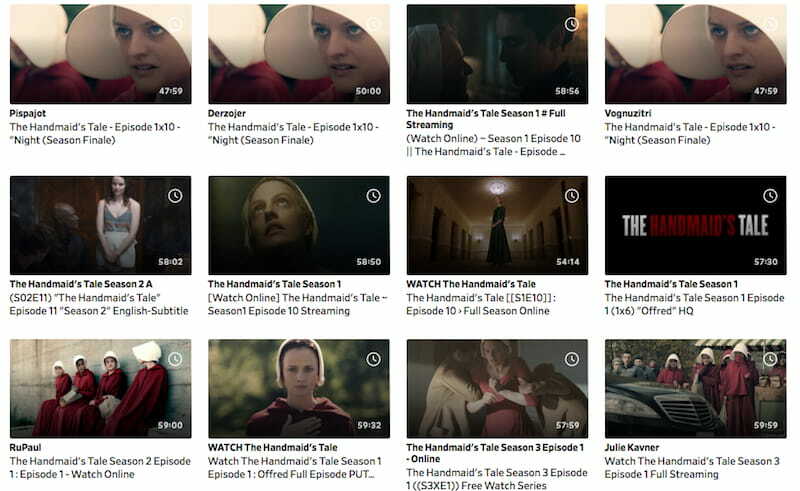 Alternatively, here are some ways – both official and unofficial – to watch The Handmaid’s Tale online. 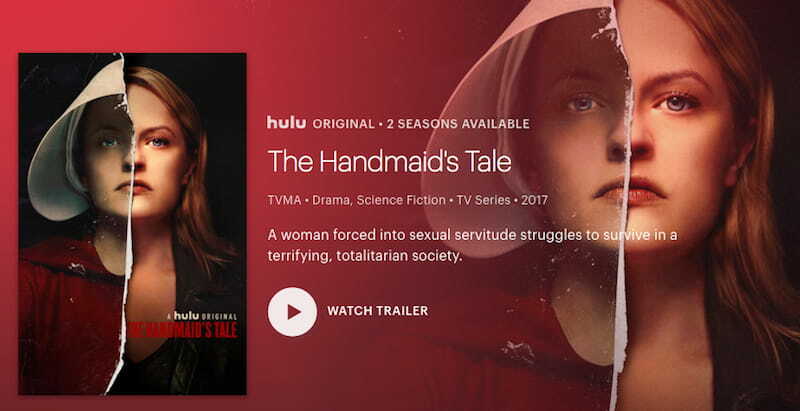 Hulu has done a great job on making The Handmaid’s Tale available on its site. All 23 episodes of the award-winning series are available for streaming for U.S. residents who are subscribed to the streaming service. It also includes behind-the-scenes clips as well as extras, so grab lots of goodies if you’re going to binge-watch the series. If you’re not subscribed, the plans are fair enough and there’s a 30-day free trial available for new subscribers. And if you want fewer ads when watching, pay at a slightly high pricing point. 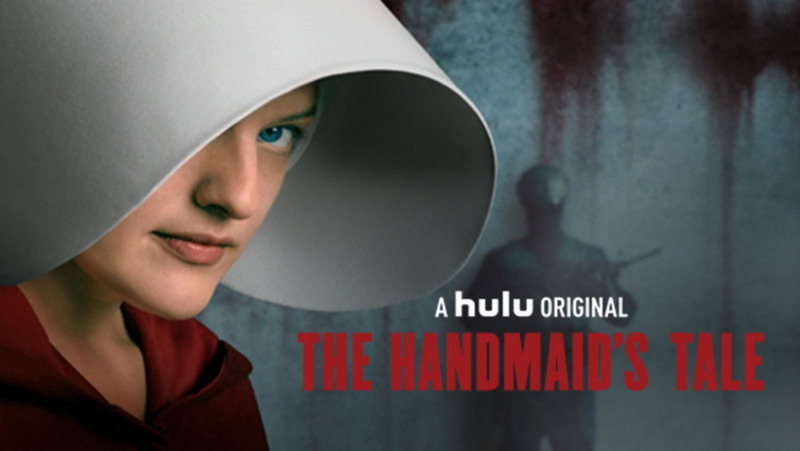 For those residing outside the U.S., you can still watch The Handmaid’s Tale if you connect to a U.S. server through a VPN. Skip down below if you want to find out. Amazon’s the go-to-platform when it comes to premium alternatives. It has built a steady following over the years, so it’s no wonder that a popular series such as The Handmaid’s Tale can also be found on its website. Users can use their Amazon Prime subscription to watch the series on Amazon. You can buy the episodes in HD or SD, or in bundles, which can be handy especially to those who want to have a copy of their own. Yet again, it’s only available to U.S. residents. Don’t miss out on the fun if you’re not. Scroll down below right now to know how to use a VPN to unlock The Handmaid’s Tale! For those with an Apple device, you’re lucky. The Handmaid’s Tale is also available on the Apple iTunes store, so you’ll have access to it wherever and whenever. If that’s not good enough, you can also download the episodes you want to watch and save it for later. If you have the money, buy the season 1-2 bundle. It’s $10 cheaper than buying the two seasons separately. If you’re not subscribed to the previous options, you should give Vudu a try. It’s a (less popular) premium streaming platform, but the services it offers are almost the same with those mentioned above. 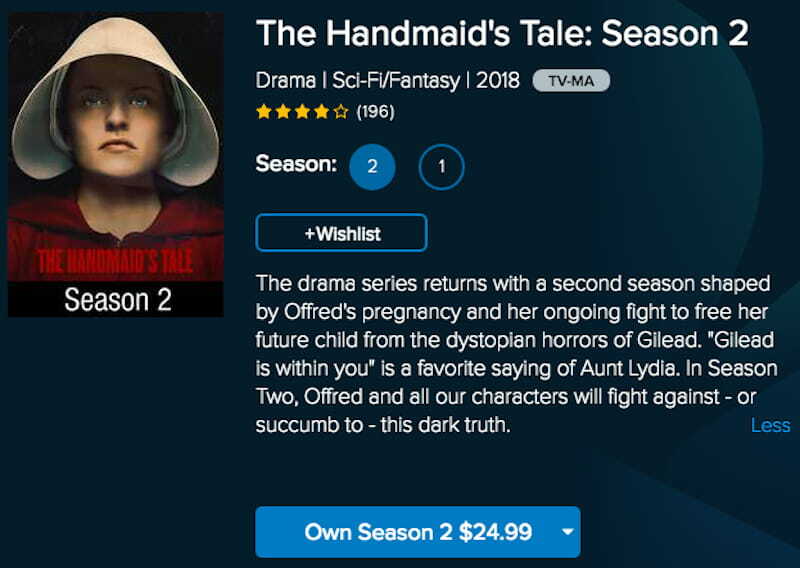 Vudu also supports the download of individual episodes, so it’s also an alternative to consider if you’re into watching The Handmaid’s Tale on-the-go. It’s perfect if you want a fresh start. Not everyone can afford to pay a couple of dollars for a premium streaming service. Sure enough, people will find ways to catch up to the hype given the popularity of the series. Don’t expect to find all the episodes you are looking for. Youtube is an automatic no because of its copyright infringement policy. Given the popularity of the series, you won’t be found The Handmaid’s Tale on it in the near future. Your second best solution to find content is by going through the site of its competitor, Dailymotion. But since this is a platform, anyone can do whatever they want. That includes posting stuff which might appear to be the one you’re looking for but in reality, it’s not. If you can’t find it on Dailymotion, try this one. Solarmovie.one is also a popular streaming platform which is recommended by users. 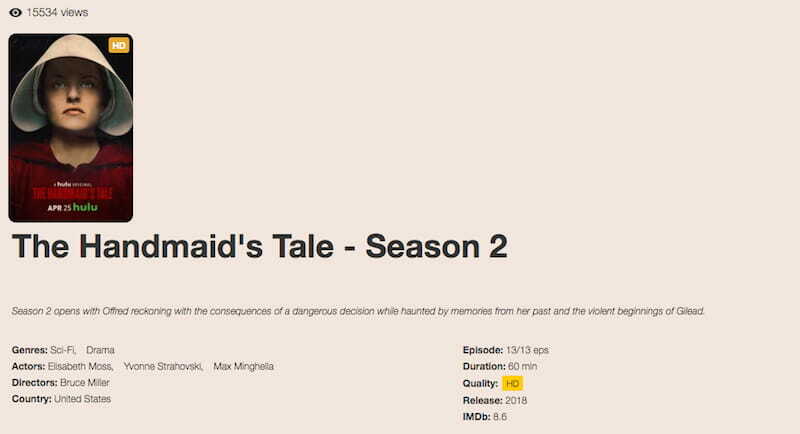 No need to make an account – just type The Handmaid’s Tale on the search bar, click the season you want to watch then find a link that works. Like Dailymotion, there’s no assurance that every link provided in the site will work so it’s a gamble to actually find the episode you are looking for. Try Google if the two methods don’t satisfy you. Just type whatever it is you’re looking for – something like “where to watch handmaid’s tale episode 1” or maybe “where to stream handmaids tale online free”. The options provided might not always work, but it’s better than nothing. Also, do take note that not all the sites you visit are safe. Most of the time, it can have lots of ads and pop-ups which can harm your computer or device. We suggest that you enable your AdBlocker before you even start, or just subscribe to a premium VPN which offers the same protection to safeguard your privacy and security. You must understand that torrents are illegal in most places. And as we have always stated that piracy and torrenting is illegal! We don’t condone it. For starters, if you’re allowed to download an episode on iTunes or Vudu, then legally, you become the owner of it. But if you offer it for sharing on torrenting sites, you risk breaking the law and paying a fine. That’s not all – uploading it on torrenting sites may expose your private network to scammers and hackers, which can ruin your streaming experience and your privacy. Use a VPN at all times to encrypt your data and prevent malicious people from tracking your activity on the net. However, if you still want to do torrenting, help yourself by checking out these VPNs for torrenting. Hulu has exclusive distribution rights over the series so users who are outside the U.S. will have trouble watching the series since Hulu is known to be available only to U.S. residents. IP-based geo restrictions are standard practice for streaming sites. Outsiders need to use a VPN to be able to access Handmaid’s Tale through Hulu or other region-exclusive streaming platforms. A VPN connects your network to a server located in the U.S. so you can access content that is exclusive to its region. It’s like you’re actually at the U.S., but you’re somewhere else. What’s fascinating is that aside from the fact that you can unlock unavailable content, it can also encrypt your Internet traffic so that you can browse undetected. Pretty sneaky! We recommend these 2 top-rated VPNs for a head start. ExpressVPN usually ranks 1st on the list of recommended VPNs since it provides top-of-the-line services at an affordable price. High internet speeds, 256-bit encryption, an outstanding customer service (which is available 24/7), you name it – ExpressVPN offers it all. All these services for just $8.32/month. It’s guaranteed access all year-round to lots of content available as compared to Amazon, iTunes or others, which have limited options. And in case you’re wondering, it also supports torrenting – which makes it an almost perfect choice. Try NordVPN if ExpressVPN’s a little bit costly. At $2.99/month for 3 years, you’ll get the same services (even torrenting) at a cheaper and longer plan. That’s several hundreds of servers in over 60+ countries. You’ll be able to unblock Handmaid’s Tale absolutely anywhere! If you’re looking for a VPN that you can use in the long run, go for this. Put your mind at ease and just get a premium VPN. It’s a no-brainer! If you find this guide useful, then you’re ready to stream Handmaid’s Tale. Do yourself a favor and binge-watch on the 2 seasons so you can be ready when the 3rd season airs in June. You can use your VPN to unblock Handmaid’s Tale in case it’s restricted. Always remember that. Now go press play and start watching! All in all, watching tv shows online is as easy as finding a streaming service. If you can afford a streaming service, you can afford a VPN service. And remember, don’t ever torrent or stream from unofficial sources. Otherwise, you’re asking for trouble.